When you’re in the open wind and sun, running can seem like one of the most exhilarating things ever. You still should keep safety in mind if you’re running during the summer months because a lack of proper sunglasses can impede your visibility in the sun as well as expose your face to harmful UV radiation. Plenty of sunglasses exist on the market, but many are not ideal if you have a small face. Luckily, we’ve compiled a list of the best sunglasses for small faces. 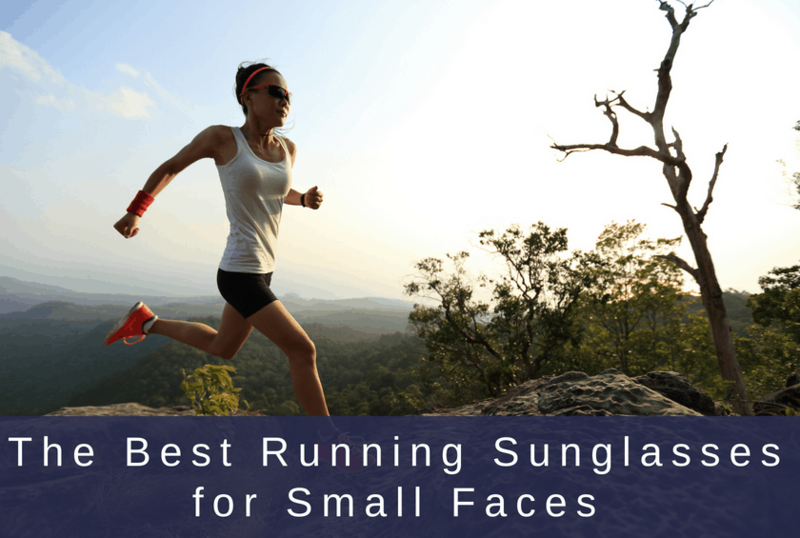 All of these sunglasses have been designed with modest frames and lenses to fit runners with smaller faces. 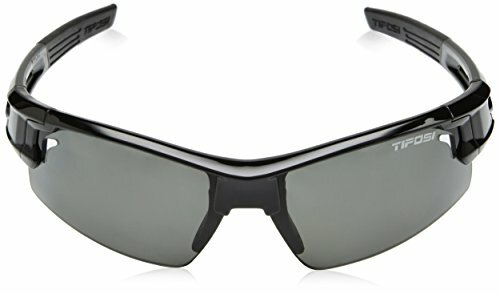 The Tifosi Jet sunglasses have an aggressive-looking profile. They are made out of the most advanced technology designed to protect your eyes and face from harmful sunlight. The polycarbonate lens coating makes it difficult for the lenses to get scratched or shatter. The lenses also feature GlareGuard, a lens coating that reduces glare to prevent eye strain. For further protection, they block both UVA and harmful UVB rays. The rubber on the nose guard is made with super-sticky rubber to keep the sunglasses in place, even when you’re sweating. And like all Tifosi sunglasses, they come with a hard case. 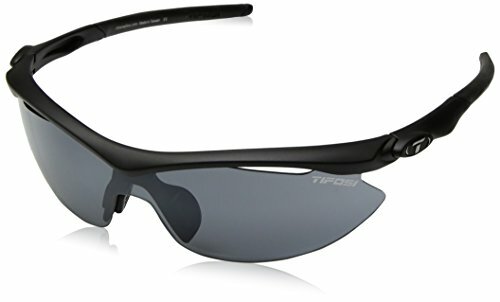 The Tifosi Slip sunglasses are made for use with a bike helmet but they work equally well for running and other outdoor activities. They have a very thin, angular profile that looks sleek on the face and comes in a variety of colors. The lenses are coated with a type of nylon that’s extremely resistant to UV damage. Venting in the lenses helps to prevent the glasses from fogging up on hot and humid days. Combined with the open design around the eyes, these sunglasses aren’t likely to fog up. The ear and noses pieces are hydrophilic, meaning they respond well to water and will help keep them in place. The rubber around the ear section of the frames are adjustable, allowing for a perfect fit. Similar to the Jet sunglasses, the Slip models feature GlareGuard to protect you against bright sunlight. But unlike the Jet, most versions of the Slip come with three lenses that can be swapped away for different light conditions (including a clear lens for cloudy days). One version of the Slip comes with Fototec lenses that adjust automatically depending on how bright it is outside. 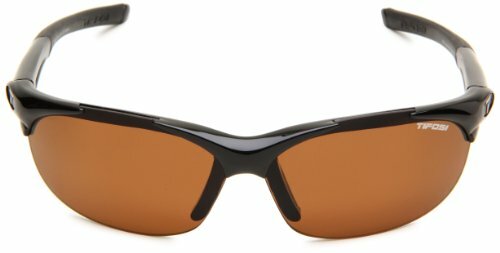 This pair of sunglasses offers up to 99 percent polarization, an excellent ratio for UV protection and for filtering out extra glare from the sun. The curvature of the lenses makes it so that the image in question is not distorted, an important quality when taking peripheral vision into account on the road and trail. The best feature of these sunglasses is that you get two sets of lenses: one set with the frame and an additional set if you want to switch them out. 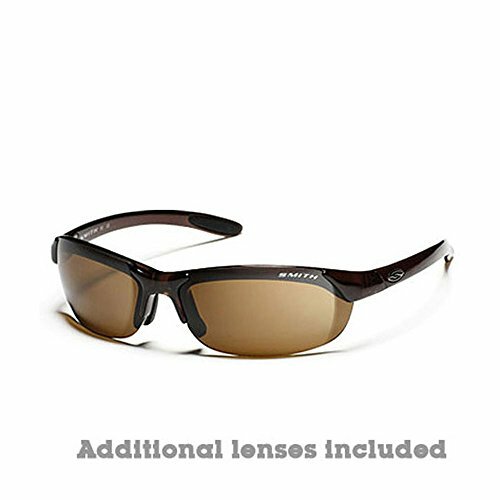 The lenses are scratchand impact-resistant, so you don’t have to worry about minor bumps damaging your sunglasses. The lightweight frames are made of material that reacts to water; upon exposure, the frames gain more friction, so they don’t come off as easily. This makes it easier to keep your glasses on even when sweat might cause them to slip off more easily. The Tifosi Podium XC is very similar to the Slip except it has a very aggressive style. You get the same polycarbonate lenses with the same level of UV protection, anti-glare coating, and some extra nose and ear pieces in case you lose or damage the ones you already have. You also can choose the version that comes with 3 interchangeable lenses or the model with Fototec lenses that automatically get brighter or darker depending on light conditions. The only structural difference we can see is the lack of an antifog venting. Not a huge deal if you run in an area that’s dry. Humid locations or times when you work up a serious sweat are when you might have to worry. 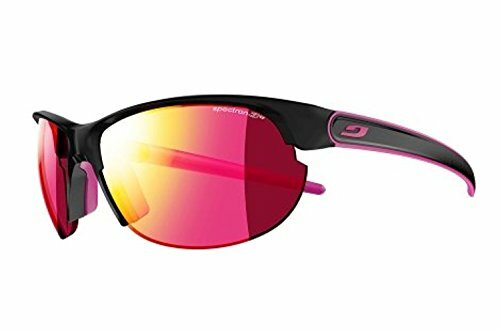 If you’re looking for sunglasses specifically geared toward women, these are probably the right ones for you. They come in a small size, making it more likely to fit a woman’s face without slipping off. The frames come in multiple colors, but the most common one seems to be white or brown. The lenses, on the other hand, are a universal rose color. The sunglasses’ frames are made of plastic, which isn’t as durable as the materials we’ve seen in other lenses. But runners have noted that they still will last a long time. There were a few complaints that the lenses weren’t durable. The rose-colored lenses are an interesting feature. This particular color does an excellent job of filtering out bright sunlight, especially during sunrise or sunset. You’re more likely to see clearly than you are with regular sunglasses during these times. The Tifosi Synapse is one of the other Tifosi models we’ve looked at. It has much in common with its companions. 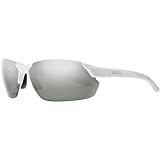 You get the nylon lenses and frame that can work well at deflecting UVA and UVB radiation away from the face. The basic construction of the sunglasses is almost identical, except for the overall width of the lenses. The lenses wrap around the face more to provide more protection and more style points. The shape of the lenses are a little more conservative than some of the other models in the Tifosi lineup, but the important part seems to be handled: the cover the eyes and the area around the eyes with ease. Anti-fog venting helps keep these sunglasses clear. They also feature adjustable ear clips and nose piece for a custom fit. Overall, the Synapse is a super-strong, super-lightweight customizable pair of sunglasses. The Julbo Breeze sunglasses look to be the most colorful of our list. The multicolored lenses are good at dealing with changing hues of light without having to switch out lenses. They also have an anti-fog coating, as well as lens venting. The nose pads and temples are fully adjustable, so no matter how you want to wear these glasses you can make them fit relatively easily. This pair of sunglasses is also tailored specifically for smaller faces. 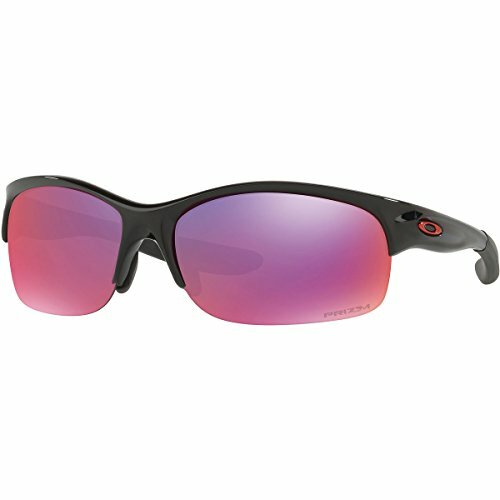 These sunglasses are made of polycarbonate for strength and durability. The lenses are also made to last and resist scratching. The Tifosi Wisp is ideal for small and extra small faces. 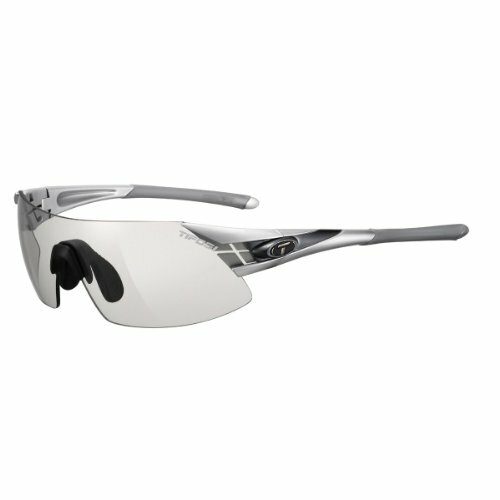 The Wisp also offers a more conservative look than other Tifosi glasses. Where many of the lenses have a flattened, triangular shape, these have more rounded and larger lenses to offer UV protection against more than just the eye. You also get protection for space just around the eye. The frames and lenses are made of high-quality nylon for extra frame strength. 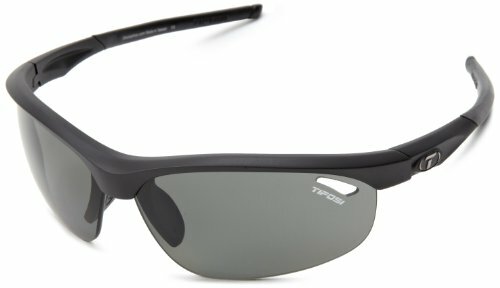 Unlike several of the other Tifosi models, these sunglasses lack a fog vent. You can adjust the earpieces for a custom fit. And like other Tifosi sunglasses, the Wisp comes with 3 interchangeable lenses as well as a hard travel case. The Veloce is one of Tifoi’s best-selling sunglasses, ideal for running cycling. These sunglasses have adjustable arms and a nose piece to customize the fit. Each pair of glasses comes three lenses suited to different situations. For example, red lenses work well for contrast in sunny conditions. Black or brown lenses are good for all-around purposes, and GT lenses work well for playing golf or tennis. The frames and arms are set far enough out, so you don’t have to worry about the frames rubbing against your face. At the same time, you can use adjustable ear and nose pieces to keep the glasses fitting and looking good on you. 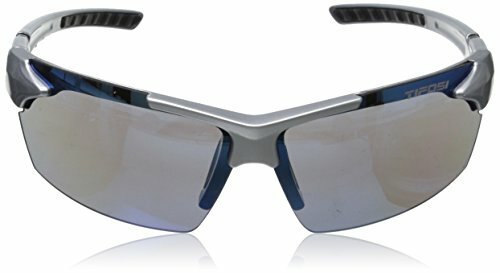 The Veloce sunglasses come with nylon frames and hydrophobic lenses to prevent fogging or sweat building up to obscure your vision. Keeping the lenses clean is also an easy task; a cleaning kit with a basic microfiber wipe and some glasses cleaner will do the trick.